Had the place to myself at 7pm on a Monday Night. Decent pub - in the Good Beer Guide. Most of the beers were from the Hop Back brewery. Ever going against the grain, I went for a New Forest Ale from Downton Brewery. Quite a trek out from the town centre but a good range of beers and surprisingly quiet (perhaps BECAUSE it was so far out) on a Friday lunchtime. 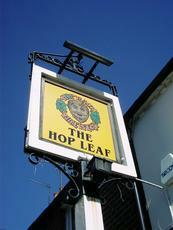 The Hop has been my local, on and off, for the past decade during a couple of periods living in Reading. During that time, I don't think it's ever made the good pub guide. Who knows why, as the quality of the (mostly Hop Back) beer is ALWAYS terrific, particularly the Summer Lightining which is more or less the house beer. Maybe someone who has a grudge? Perhaps, as the Hop is frequented by a cast of characters who some mightn't take a liking to. But both my girlfriend and I love this place and the locals and it's one of the few things about Reading that I'll miss. A right bunch of oddbods and eccentrics in this here hole. This is also clearly where the jobless go when the Wetherspoons won't take them! 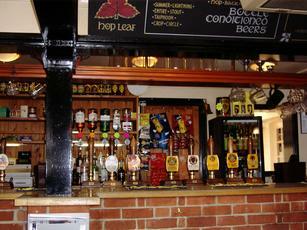 Not to mention the overpriced ale selection. Avoid. 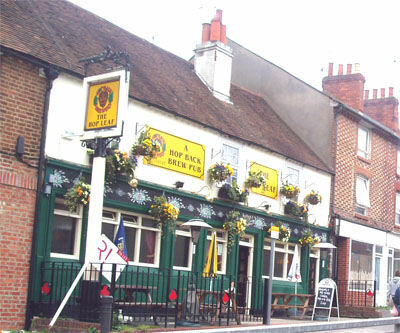 Why on earth this pub is not in the Good Beer Guide I do not know - do the local CAMRA members have some petty gripe against it? It hasn't been in for about 8 years yet the ale is as good as ever. I go in every time I am back and am never disappointed by the quality of the ales - 6 Hop Back beers plus a Downton (this time their Imperial Stout at 9%). Superb.